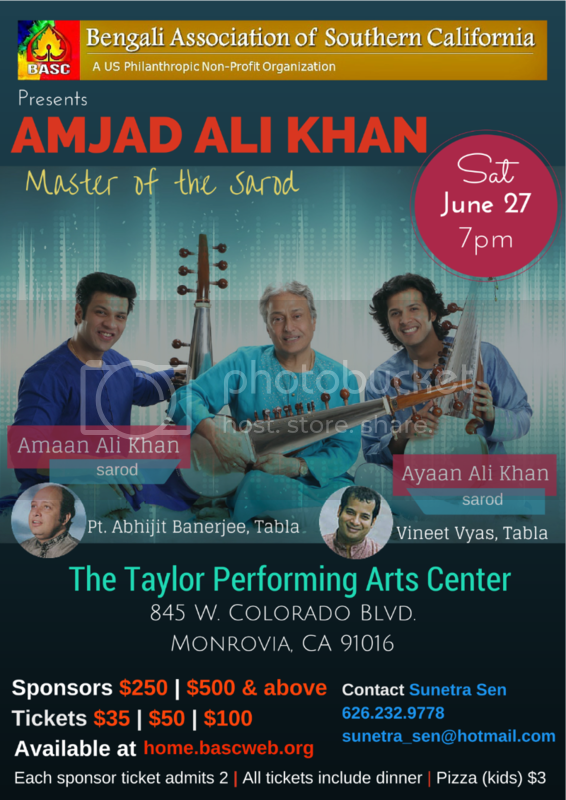 It is our pleasure to forward you this invitation to BASC's Classical Concert featuring Ustad Amjad Ali Khan & sons. We whole heartedly support this event and request you to support as well. Please take a look at the details below and also forward this to your classical music lover friends.